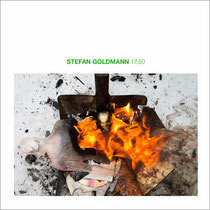 '17:50’ is the new album by one of techno’s most restlessly inventive artists, Stefan Goldmann. Its weirdly alien, yet extremely catchy melodies and basslines, rough analog drums and distortion hardware should bring new sonic pleasures to innovative dance floors. De-tuning notes has been central to house and techno since the early days in Chicago.